So, what do I need to consider first before buying a franking machine? We’ll answer that question in the list below, says Franking Machine Compare. 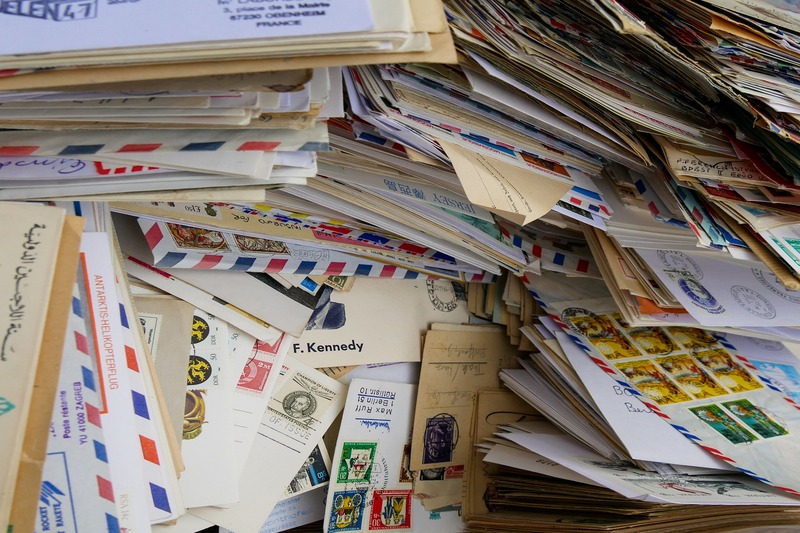 It is crucial to first find out how many letters your business sends in a single month. There are a number of machines in the market today meant for large volumes of work. Most of these machines are designed with a variety of functions depending on your needs. Therefore, before getting into a conclusion on which device to buy, make sure you do an online survey. Also, it is worth taking note of the type of letters willing to be sent. Furthermore, taking note of the postage costs incurred each month without using a postage meter must be addressed. There are different brands out there. So, make sure you make the right decision. If the monthly postage costs are above the £100 mark, then opting for other options offered at Royal Mail should be considered. In general, making the right choices on the type of franking machine to buy or lease depends on the volume of work. Once you have made up your mind about the franking machine you wish to buy, the second step is to compare different vendors. Comparing franking machine suppliers is essential because choosing the wrong one will subject you to the risk of buying the wrong franking machine. You may end up buying a substandard franking machine at a ridiculous price. The only way to get a correct idea of what a franking machine is going to cost to buy or rent is to get many quotes. Franking Machine Compare helps you compare prices from the four leading authorised suppliers in the UK. Before getting into an agreement with any vendor, make sure the franking machine has the Mail-mark feature. The Mail-mark is a feature where the franking machine uses barcode technology on letters. Mail-mark technology is the standard franking characteristic that uses digital technology used to streamline the franking process. Therefore, a franking machine without this unique feature is not an option. The benefit of buying a franking machine with Mail-mark technology puts your business in line with the current trend in technology advancement. For a franking machine to operate, it requires some supplies. Some franking machines consume more or fewer supplies depending on the key features of the device. Common supplies of franking machines include ink, sealing liquid, tape, and other materials. What you need to find out is whether the supplies are accessible or not. If the supplies are not accessible at all, looking for other alternatives is the way to go. Just to avoid the inconveniences of insufficient supplies, it is advisable to buy a machine that serves you well; a device that consumes reasonable amounts of supplies. In case you decide on leasing a franking machine, make sure the vendor keeps the device in check at all times. Also, the leased franking machine must have lower maintenance costs. If getting a technician to repair the franking device locally is impossible, then look at other options available; for instance, assessing the cost of shipping out the franking device for repair and maintenance at the manufacturer. If the franking machine is on leasehold, find out whether the supplier is available 24/7. Additionally, some suppliers tend to offer substandard technicians. You must be very careful with technicians. A service contract is an agreement between a franking machine vendor and the business. Typically, the deal in place is signed by both parties before the contract. Many people ignore reading the contract before signing, which is wrong. Some contracts are binding. Failure to understand the guidelines on the contract can jeopardise your business operations. Therefore, it is vital to have a lawyer in place to interpret the agreement for you before sign. Most suppliers offer training services on how to handle new equipment. In this case, it is essential to be trained on how to handle and maintain the franking machine. Training will enhance the skills of employees handling the franking machine. Therefore, the best time to request equipment training is when negotiating the contract with the supplier. Training will not only improve efficiency but will also reduce the risks of improper use of the franking device. Franking machines have different rates depending on the brand. A basic franking machine will only cost you a few pounds. However, a more advanced digital franking machine costs a little bit more. Something to take note of in a franking machine is the postage meter. The function of the postage meter is to keep track of all letters franked at a particular period. Other extra costs chargeable at the Royal Mail need to be accounted for as well. The average cost of leasing a frank machine is approximately £15 per month, exclusive of other extra charges. A more complex and automated franking machine can cost as high as £100 per month. The leasing period in a contract runs up to a maximum of 3 years; with the least number of years in a lease agreement being 12 months. Consequently, it is worth taking noting other minor terms in a lease agreement. Many leasing vendors offer other incentives such as repair, training, and maintenance. Therefore, you need to be very smart when choosing the supplier. Before buying or leasing a frank machine, it is always good to take your time. Taking your time when choosing the right vendor can save your business a lot of money. Also, before agreeing to a lease contract, make sure to at least bargain on the price. More growing your business and cutting costs.